These old fashioned wood directional signs are 100% mesh. Each sign is only 0.5 LI, so linking two signs is still only 1 LI. These were designed to make it easy to add your text, without needing to recreate the wood texture of the sign itself. 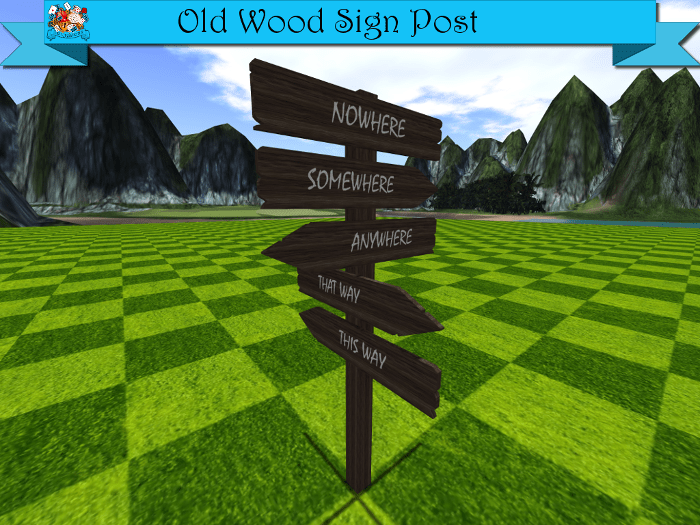 Each sign has a texture face on top of the wood that can be selected, and your text can be added on top of the sign itself. The included sample sign post is a total of 3LI in weight, and the post is a simple prim. 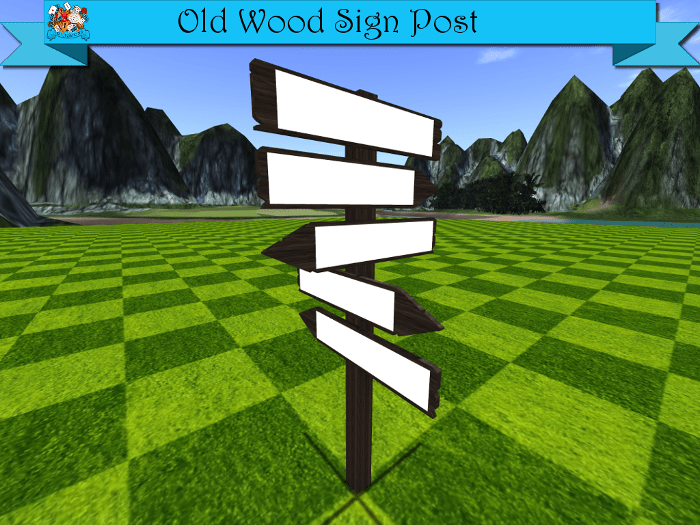 You can unlink the signs from the sign post and use them however you desire. 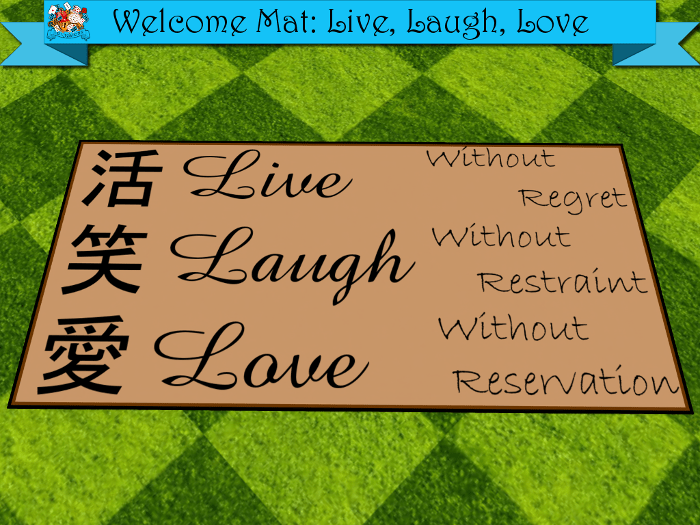 Texturing the sign to add your own text is easy. Just select the texture face on the front and/or the back of the sign, being careful not to select the entire face. Then add your text image to the texture face. It will apply the text like paint over the wood. 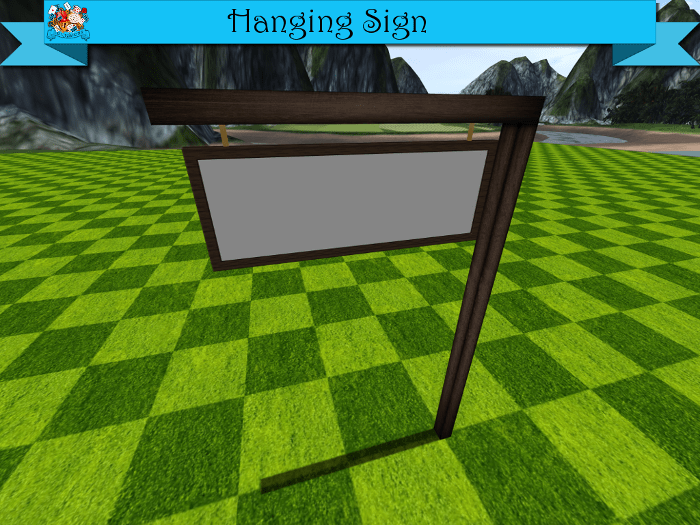 This hanging sign is 100% Mesh and only 1LI when linked with the included post. It is modify and copy, so you can use as many as you need, and change the sign as desired. There are seven different texture faces, including the front and the back of the sign as separate texture faces. The sign and the post can be unlinked, allowing the sign to be hung from ceilings, overhangs, or whatever you might want to hang it from. The rainbow bangles are my first product. They are a pair of rainbow colored bangles that glow in the dark. They are a great accessory for your next rave in Second Life. Works with standard and mesh avatars.